Neutron activation analysis of 12 black shale samples from the Cambro-Ordovician sequence in the Oslo Region, Norway corroborates the geochemical signature identified for Dictyonema flabelliforme-bearing rocks in the Baltoscandian region. This study not only confirms the relatively high values of molybdenum, uranium, and vanadium reported, but also extends the geochemical signature to include relatively high values of antimony, arsenic, and provisionally bromine and tantalum. The new work also indicates that relatively low values of cobalt, iron, and manganese may be part of the signature. To test if this geochemical signature may be linked closely with the occurrence of Dictyonema flabelliforme, or rocks of that age in the Atlantic Faunal Province outside of Scandinavia, an additional 19 graptolite-bearing shale samples were examined. These shales include Early Tremadoc D. flabelliforme-bearing or coeval rocks from the Llyn Peninsula, Wales; Levis, Quebec; Schaghticoke, New York; and the Cordillera in Bolivia. 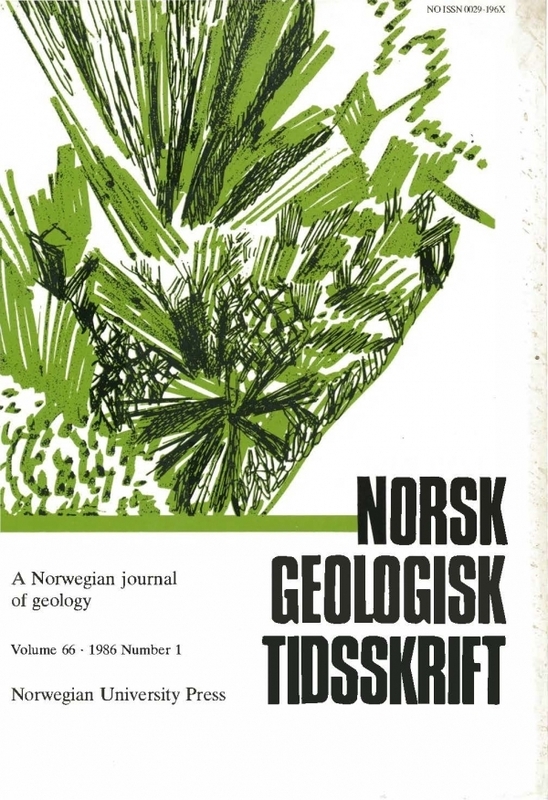 The geochemical signature of the Baltoscandian Dictyonema Shales was not found in coeval rocks outside Scandinavia. This characteristic geochemistry is suggested to have resulted from the interaction of submarine basaltic volcanic and hydrothermal activity with highly anoxic waters during black shale deposition. That combination of volcanic, oceanographic, and depositional conditions, thus far, has not been recognized in the Early Tremadoc record outside of the Baltoscandian region.